LondonJazz: TRIBUTE: Simon Purcell writes about John Taylor: "a treasured and continual revelation of possibility, curiosity and beauty." TRIBUTE: Simon Purcell writes about John Taylor: "a treasured and continual revelation of possibility, curiosity and beauty." 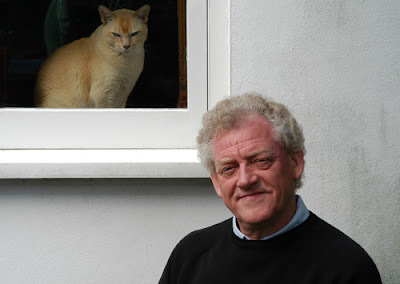 Simon Purcell has written in memory of John Taylor: "I have friends who can express John Taylor’s music and contribution with more poetry than I can muster (see Liam Noble and Nick Weldon on Facebook). My tribute takes longer, but perhaps that is my way. Some folk create beauty, others can see it or lead people to seeing it – perhaps that is my role here." It is probably 40 years since I first heard John Taylor, on BBC Sounds of Jazz, very late on Sunday nights and sometimes under my pillow, in a range of British jazz groups during the mid 1970s. This was before CDs, when LPs by British jazz musicians were very scarce and jazz fans depended on Peter Clayton, Charles Fox and the blessed BBC to share the treasure. Stan Sulzmann, Bryan Spring and Tony Coe were already logged in my mind but as a pianist, John Taylor soon took my breath away. When I first heard Azimuth in 1977 on a BBC Omnibus programme about Kenny Wheeler, I knew straightaway that I had come across music that would make an indelible imprint on my personality and spirit. A few months later I found myself in a classroom with John at Barry Comprehensive School (during the Barry Summer School). I can remember his smile as I described the tune that I liked so much (“O”) on the Omnibus programme. I asked him to play it and he duly obliged, several times! On this occasion, people soon joined us who like me had never heard this kind of music played in front of us, or indeed at all. I also recall Kenny Baldock barging in, harrumphing and teasing “JT” about how part of the song resembled (very slightly) All The Things You Are. Kenny nudged him off the piano, creating hilarious mayhem as he demonstrated how John’s music would sound a lot better with more bebop and “hadn’t he heard of Horace Silver”? John loved Kenny Baldock and I sat next to him at his funeral. So began my life as a jazz musician, totally and always star-struck by John. Even recently I expressed this to Julian Siegel after a gig at the Vortex. “I’m 56 and am still star-struck. I can’t get a word out without feeling stupid”. Jules felt exactly the same, and he was playing with him! Throughout the 1980s, unlike Liam Noble (a wiser man than me), I did attempt to get close to John’s music. I could hear the references as John himself had always readily shared (Bill, Oscar, Herbie and then Messiaen, Hindemith, Chopin), and for a while attempted to capture and mimic his “style”. I always felt that like Bill Evans, John preferred that folk didn’t copy him, his advice to students always being to listen to themselves (although he generously shared his tunes, always beautifully handwritten). Still today I am discovering more about John’s uniqueness and while it is possible to analyse and recreate the mechanics of John’s improvising and composition, the actual substance and his “way” was always fluid, deeply beyond time and revelatory. In my own quest, because British jazz was so appallingly under-recorded, I used to search for recordings of artists that resembled parts of John’s sound. That’s how I stumbled upon Richie Beirach and the augmented major 9th! Similarly I was initially more interested in what Chick Corea shared with JT rather than Chick’s own voice. In the absence of LPs, home-recorded cassettes of BBC Jazz Club performances were treasured possessions and I can recall rising to my feet in my bedroom listening to the radio late on a Sunday night, as I heard John pile-up and combine rhythmic and harmonic skulduggery on the bridge of “In a Sentimental Mood” during a broadcast by Don Weller’s quartet (where’s my transcription of that solo, Eddie Parker?) or the excitement amongst my generation when we heard on the grapevine that JT and Pete Saberton were planning a broadcast together. Thank goodness for Nick Purnell’s attempts to revitalise John and Kenny Wheeler’s careers during the 1990s and the arrival of CDs that eventually dispersed the incredible music. People are prone to note music as a soundtrack to their lives, pointing to individual tracks, pop songs or movie themes associated to significant life events and places. For me JT’s music was not an accompaniment but a treasured and continual revelation of possibility, curiosity and beauty. Beyond associations with jazz, his work was deeply realised, holding Rod Paton’s 4 functions of music in perfect balance: Dionyson rumbustiousness (“Clapperclowe”), Apollonian genius for form (“Ambleside”), Psyche’s emotion and beauty (“Windfall”) and Orphic storytelling and longing (everything). This is why his loss is so profound as his music offered images of this amalgam, so deeply attractive because of the beauty and excitement it aroused and the transformation that it always causes. Like all great art, JT’s music also offers us the grace of recognition, to re-know the deeper qualities, literally re-seeing the quality outside of ourselves but re-cognising it (seeing again) because it is present within us at an archetypal level. What a gift. And then the person. I knew John as a would be student, fan, colleague (can I say that? We worked together as teachers. Dave Wickins and I employed him too). I spent some occasions talking at length, usually at summer school or before or after a gig and whenever John visited us at college. He was always kind, interested, curious, funny, all the things that everybody says about him. I also saw some of his frustration and a little darkness too. But he was massively encouraging to me, and everyone. Aside from the paralysis of being star-struck, I am so grateful for this closeness, the privilege of hearing his music so close at hand and sharing some space with its creator. I recall John’s remarkable duo with Stan Sulzmann (mid 1980s) and my sense of personal futility having to play after an hour of their extraordinary creative flow and otherness. Hearing Azimuth in person and duos with Norma Winstone were treats while a one-off tribute to Horace Silver at the 100 Club with Kenny Baldock was a joyous reminder of John’s love of the jazz tradition and ability to swing his xxxx off! In 1980 I had a couple of lessons with John where he was more interested in how I listened than precisely what I played. I recall him showing me a photo of Kenny Wheeler, encouraging me to listen to him and also recommending Hank Jones as an example of, amongst other things, great time playing. He also introduced me to Ralph Towner (in particular “Old Friends, New Friends”) and Jan Garbarek. John was an inspiring teacher but there were always many more questions than answers. In contrast with the utilitarianism of most jazz education, even in formal educational situations, I have witnessed John skilfully and wilfully avoiding prescription or direct advice, like Merlin smiling quizzically or with feigned bemusement at students’ questions and requests for tangible guidance. This was sometimes very funny too. John was unwittingly but determinedly student-centred, like the American educationalist John Dewey and closer to home Bill Evans, devout in his wish that a student should experience the joy of self-discovery. Nick Weldon suggested John “was in touch with something beautiful and mysterious that he could only describe by playing...” He was always looking beyond, deeper, to things that could only be conveyed by music itself. Although beauty and melancholy are currently less fashionable than in other eras, they remain a distinguishing characteristic of jazz; but what distinguishes John’s music and makes it so special is that his beauty was not only “beautiful” but revelatory. Thank you John for your life long lesson and the never-ending questions and answers to my soul. I remain star-struck, broken-hearted but eternally grateful.